For centuries, the status of the vulture has been polarised in Maharashtra. While the Parsi community has held the bird in high esteem as it is part of their last rites, the rest of the state tends to look down upon it as a scavenger. Now, as the dual effects of changing habitats and diclofenac poisoning send the state’s vulture population plummeting, the Bombay Natural History Society (BNHS) is seeking to replicate its vulture conservation programme — a success story in five states — here, with the Parsi community’s support. The BNHS has created vulture safe zones around a 100-km radius of vulture colonies at seven different locations across the country: two each in Uttar Pradesh and Gujarat, one each in Uttarakhand, Jharkhand and Assam. In these zones, the primary stipulation is the surroundings must be free of diclofenac — a drug used as a painkiller in humans and animals, but fatal to the birds. Now, says Vibhu Prakash, deputy director, BNHS, plans are afoot to demarcate vulture safe zones in Pune and Mumbai. “Funds are a big constraint, but we are seeking the Parsi community’s support in Maharashtra to plan a gradual expansion, based on the model of the seven other locations where we have ongoing conservation programmes,” Prakash said. “The Parsi community has been really worried and has been communicating with BNHS. We plan to start one breeding centre at Doongerwadi in Mumbai and another at Dahanu (around 65 km from Virar). A vulture safe zone will be established between these two locations. 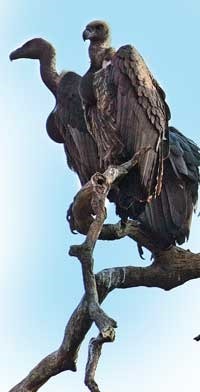 Efforts will be replicated in Pune so that the vulture population can bounce back,” he added. The Parsi community has been at the forefront of vulture conservation. “There is a lack of awareness in all communities except the Parsis. In Maharashtra, an angry mob is called a pack of vultures, and the creatures are looked down upon. There are many Parsi trusts that support vulture conservation projects,” said Vishwas Joshi, member, Sahyadri Nisarg Mitra, an organisation working for vulture conservation. “The community is spreading awareness about the dangers of diclofenac, and many members tell their doctors to not prescribe that drug,” added Prakash. Pune’s Parsis are as concerned as their counterparts in Mumbai and elsewhere. “Our community has to resort to solar concentrators and chemicals to dispose of dead bodies, a practice which is against our culture. Certain Parsis have also started cremating the dead,” said Oorvaksh Hyderabadwalla, 22, whose grandfather had to be cremated. “The solar concentrators don’t decompose the bodies properly. It is a gruesome scene. Burning the body means disrespect towards fire, which we pray to. Vultures are an important part of the community,” said Daryus Mazda, 23, who says that the Tower of Silence is in a sad state due to the absence of vultures, a fact well-known to the community. Rayomand Buhariwalla, 22, cannot forget a video taken inside the Tower of Silence in Mumbai, which showed bodies bloated and rotting away as there were no vultures to consume them. 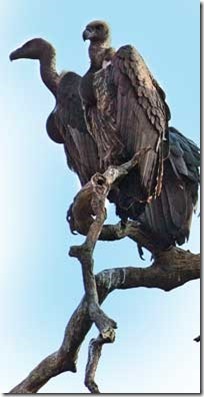 “People don’t think vultures are important, just because they are grotesque to look at. Serious efforts need to be made towards vulture conservation to save their population, so that we can perform last rites in a proper manner,” said Buhariwalla. On their part, environmentalists have been fighting for the same cause as vultures form an important part of the food chain. “Vultures are good scavengers. They are now being replaced by crows and stray dogs, which do not do as good a job. They provided an important service, which was undervalued,” said Girish Punjabi, member, Researchers for Wildlife Conservation. “Until and unless the breeding programme is successful in Mumbai, it cannot be replicated in Pune, because it costs crores of rupees. Many people are willing to sponsor conservation efforts, but just one community doing all the work will not help,” said Farheez Irani, a volunteer at the fire temple.